The 'specialty' of LaserForce, however, is not in the arcade games but with the live action laser game where one is equipped with a laser gun and a vest, and blast each other in a darkened maze. I bet it's loads of fun! The kids sure did, that much I can tell. 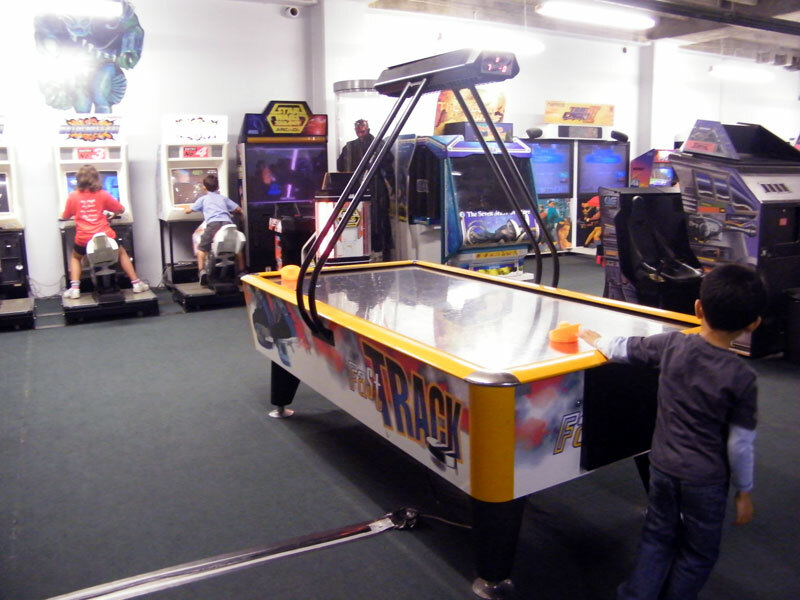 Laser Force is also a venue for parties, and it's a hit with the youngsters (and the big kids too). 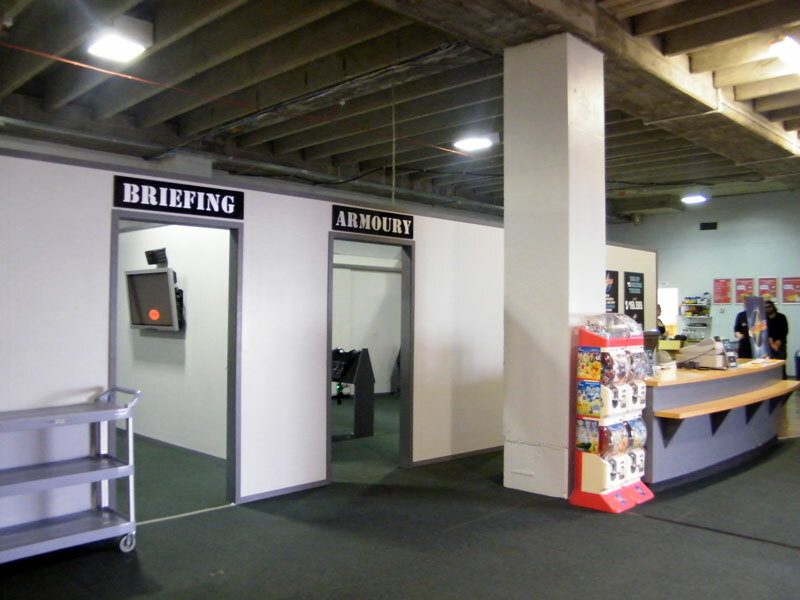 The briefing room, where a video of the instructions are shown. At the next room is the armoury where the guns and vests are located, as well as the accessway to the maze. 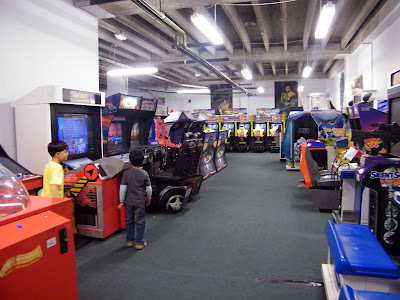 After the kids had their fun at the laser tag and the celebration was over, we decided to have a look at the video games. To tell you straight off, it's no Timezone. 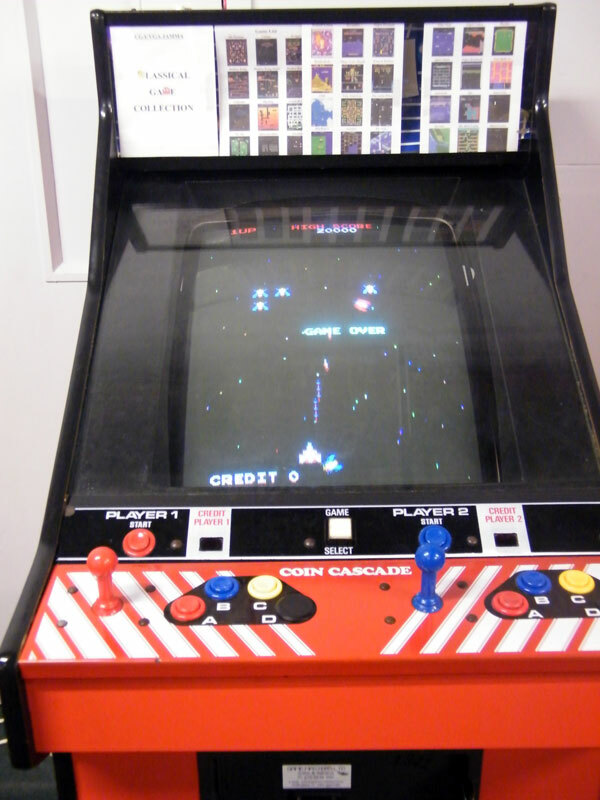 The games are dated and some of them are past their prime. For example, we tried this racing game but the coin got stuck in one so the kids were not able to run a multiplayer race. We notified the staff about it and they took action 10 minutes later and gave us 4 extra tokens as compensation for the delay. 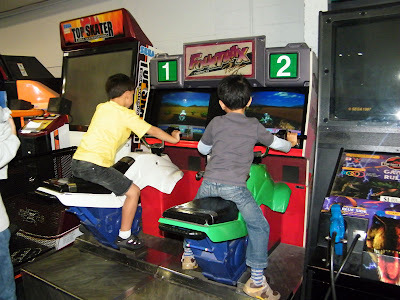 However, another racing game devoured one token and the game did not start. 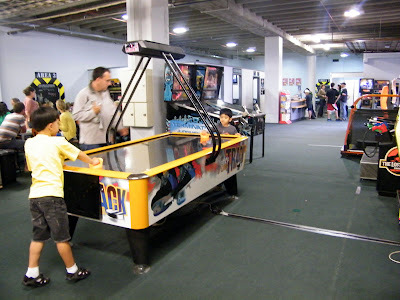 And so we tried the air hockey instead but there were moments during the game when the airflow would stop. Motorcycle #1 has a faulty coin slot. Air hockey one moment, no-air hockey the next. That was a disappointment, to say the least, but it did not the least dampen our spirits as the kids absolutely loved the earlier laser tag game. I was itching to try out the Star Wars game and pinball but soon it was time to go. 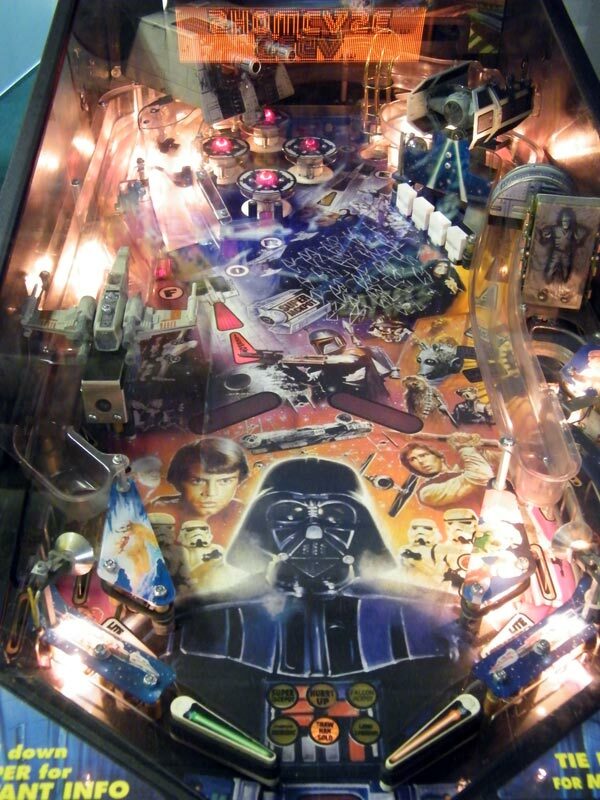 The Star Wars pinball machine looked awesome. For a unique birthday party idea, visit the Laser Force website at http://www.laser-force.co.nz/. Hope you'll have better luck with the video games if you ever venture to try.